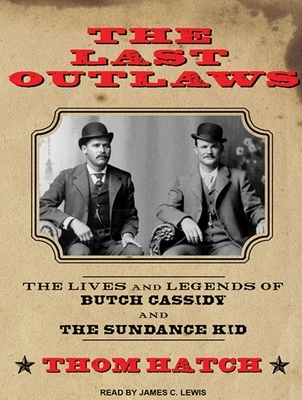 Butch Cassidy and the Sundance Kid-as leaders of the Wild Bunch, they planned and executed the most daring bank and train robberies of the day, with a professionalism never before seen by authorities. For several years at the end of the 1890s, the two friends, along with a revolving cast who made up their band of thieves, eluded local law enforcement and bounty hunters, all while stealing from the rich bankers and eastern railroad corporations who exploited western land. The close calls were many, but Butch and Sundance always managed to escape to rob again another day-that is, until they rode headlong into the twentieth century.Fenced-in range, telephone lines, electric lights, and new crime-fighting techniques were quickly rendering obsolete the outlaws of the wide open frontier. Knowing their time was up, Butch and Sundance, along with a mysterious beauty named Etta Place, headed to South America, vowing to leave their criminal careers behind. But riding the trails of Chile, Argentina and Bolivia, Butch and Sundance would find that crime wasn't through with them just yet.In The Last Outlaws, Thom Hatch brings these memorable characters to life like never before: Butch, the brains of the outfit; Sundance, the man of action; and the men on both sides of the law whom they fought with and against. From their early holdup attempts to that fateful day in Bolivia, Hatch draws on a wealth of fresh research to go beyond the myth and provide a compelling new look at these legends of the Wild West. Thom Hatch is the author award-winning author of several nonfiction works, including "Osceola and the Great Seminole War," "Black Kettle," and "The Blue, the Gray, and the Red"; and the novel "The Bone Hunters." James C. Lewis, an "AudioFile" Earphones Award winner, is a voice actor in New York City. His voice is often heard as a hard-boiled detective, but his work for Tantor covers a wide range. He has also worked as a TV weatherman and a political reporter.